Numerous critics have expressed their unease with the ongoing phenomenon of the TV talent search and its dominance of the pop music scene both in the UK and the USA. It has to be said though that in America particularly Christian artists have benefited from the mass audience profile that such competitions can give them and in recent years Mandisa, Chris Sligh and Ruben Studdard have all used appearances on American Idol to launch successful Christian music careers. Knowing the depressing predictability of the American Christian subculture it was inevitable that Christian TV should launch its own pale imitations of the secular talent searches. Judging from the poor quality of the 'Gospel Dream' album released after Gospel Music Channel's talent contest of the same name, Christian TV has a lot of ground to make up and maybe they are doing so. This month Verity Records (Integrity-Provident in the UK) have released two albums by the winner and runner up of the Sunday Best talent search broadcast on Black Entertainment Television (BET). Considering the quality of the albums in question, both Crystal Aikin (the winner) and Shari Addison seem certain to make sizeable dents in black gospel consciousness. For Shari it is a belated entry into the gospel fast lane. Wrote Christianity Today magazine, "The singer is 45, which would make her ineligible for a shot at a music career by the standards of American Idol and pop music. But this is not an issue for gospel. Au contraire, Addison's church-tested pipes are a heavenly fit for Kevin Bond, the multiple-Grammy-winning virtuoso charged with helming the disc." 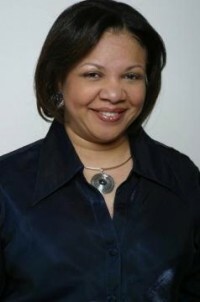 A native of Chicago, Shari is a minister and psalmist at the Bright Star Church of God in Christ where Superintendent Christopher T Harris, Sr is the pastor. She is married to Lewis Addison and they have four daughters. As so often turns out in the stories of successful talent search applicants, Shari is far from being a raw beginner. As a singer and actress Shari has already played at some prestigious events, including a performance at Carnegie Hall and South Africa, Russia and Brazil. Chicago Mayor Richard M Daley's Office of Special Events is host to Gospel Fest, one of the nation's largest gospel festivals; and in 2000 Shari was showcased at the fest in Grant Park. She returned to this annual event in 2008 to a packed house and rave reviews at the Jay Pritzker Pavilion in Millennium Park. Additionally, she has performed on Chicago's FOX and WGN television networks. On the website bet.com Shari spoke about how her life changed after coming in second place on Sunday Best. "Immediately after the show, I came back home. I came back to being mama. Things were still the same. What was different is when I would go to places like Wal-Mart people would come up to me and just hug me. They couldn't believe I was in the store. That was the funny part. That was the change, but since that time, I've had time to go into the studio and work on my CD." The self-titled album has been well received. Wrote Christianity Today, "The producer knows the playbook well, so he refrains from having Addison sing outside her comfort zone, which is exactly what Sunday Best was about anyway-to flaunt your classiest and showiest church hat. Addison wears her headpiece proudly, turning at once torchy and churchy in the horn-suffused 'One More Sunny Day', one of those chorally rich ballads that careers in gospel are built on. That song is the centerpiece of a disc punctuated by one potential radio hit after another, from floor stomper 'Please Make Me Better' and the church-friendly 'Can't Make It Without You' to urban-funk diversions like 'I Praise You' and 'Whateva'. It's all extremely likable, perhaps calculatedly so, but fans of the genre won't care. Addison hits all the rights notes to propel herself as an early forerunner for best new gospel artist of 2009 - not quite the same as being crowned victor of a talent search on a major network, but a better place to be in the long run." 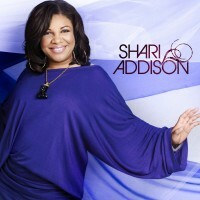 Shari spoke about her album. "I did a remake of a song James Cleveland made popular, 'Make Me Better, Lord'. I even had a chance to write a song, 'He Does All Things Well Concerning Me'. That is my statement at all times. I trust God with me, and that's what it is. That song was in me for a while. Even if things don't turn out the way you thought it would, he's got you. There's also a song my pastor wrote, and he and I are singing it." Shari is convinced that the momentum Sunday Best has given her will continue. She said, "There's definitely more music coming. This is not my solo, one and only album. This project is still unfolding for me. I'm doing radio promotion, engagements, concerts, maybe touring and writing a book. I'm excited. I don't want any options closed. . . movies, soundtracks. I'm open to staying in this music industry for the long haul. I've had the nine to five, now it's time for me to do what I've always loved doing. Between every engagement I come home, and I'm still mom and I have to cook." When asked what has been the best part of the whole talent search/recording an album experience Shari's response is hearteningly God-focussed. "I get excited when the people are blessed. People have really been blessed by my music ministry. That's exciting to me. I've even had one man write me from prison about how his life has changed. He told me that when I was speaking into my own daughter's life, that allowed him to know that God had not given up on him either. He sent me his graduation programme while was in there. He became drug free and graduated. That's the exciting part. . . the ministry." I am really blessed with your awesome performance on Sunday Best. The Lord shall refil you with greater inspiration to reach the world for christ. I am indeed blessed. Wish it could reach more people out here. Indie rock band Addison Road release new EP.